The new heist takes place over the course of two days. Day one sees you tracking down goats in a city and bringing them to your getaway van, while day two finds you defending said goats. The entire DLC pack will cost you $6.99. 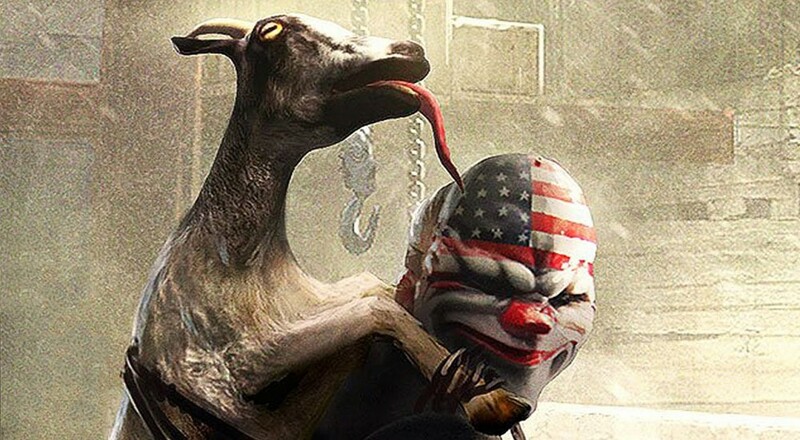 Both Payday 2 and Goat Simulator are enjoying a 75% off weekend sale, so you could pick those up on the cheap as well.